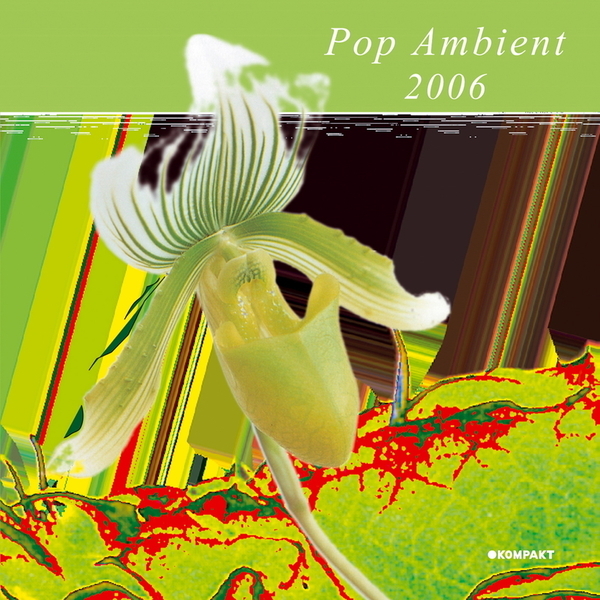 Suffice to say pop ambient 2006 is kompkat's seasonal offering of fireside fayre - featuring not only well known heros like Markus Guentner, The Orb, Ulf Lohmann, Triola, Andrew Thomas or the most enchanting Tetsuo Sakae from japan and his project called 'Pass Into Silence' but also some hot new interns, for example jazzy Uli Teichmann who delivers free piano improvisations over smoothed sound echos and who, as the name suggest, is the father of the lively Teichmann brothers. You will also find for the first time two pop ambient cover versions: Fleetwood Mac's hoary old classic "Albatross" in a wonderful version produced by Kohncke/Heimermann and already known from the Kompakt extra Speicher 31, sits next to Klimek's version of Eric Satie's master piece "gymnopedies". The perfect christmas present for a techno lover in need of a rest this yuletide!